I’ve been digging back into Kate’s artifacts this week, collecting photos to share with the historian in Burley when we go on a research visit this weekend. Yes, finally!! I’ll see Kate’s home in real life, and walk where she walked. The camera and notebook are ready. The historian is looking forward to seeing photos we have to share with him. As I was sorting through things to take or to leave at home, I picked up Kate’s Line a Day diary, which has figured heavily in my research and in building her character. 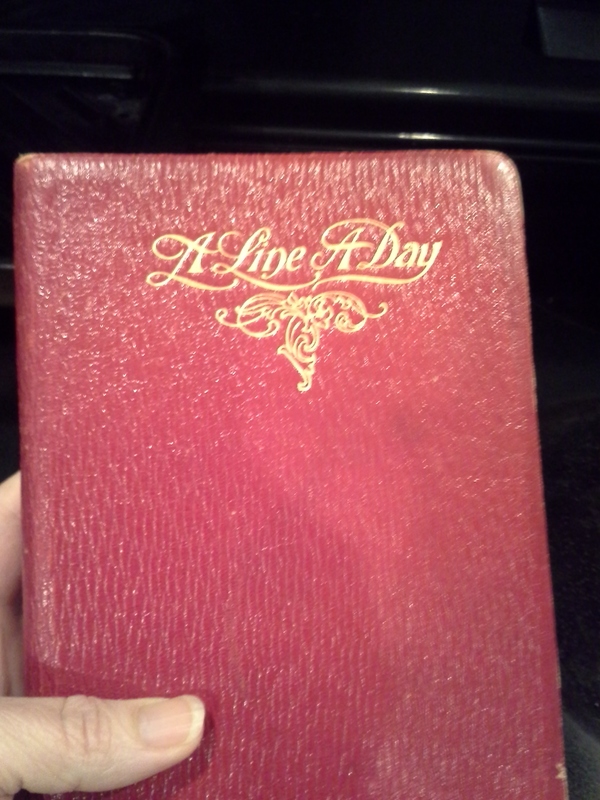 Of course I had to hold it in my hand, heft it, rub my fingers across the leather cover, open it. Inside the front cover I happened across two letters. I’ve seen them before, of course – several times. I’ve read them both. Today, though, I wasn’t doing detective work for chronology of events as framework. Lately, I’ve been doing the work of detecting all over again, with different eyes. I’d first written Kate as disappointed in her work a a teacher, doubting she was good at it, wondering what else would satisfy. I used her disappointment in her work as a quick, simple catalyst for change, as the turning point to her deciding to serve the War effort. But it never sat well with me; it was too easy – too contrived. 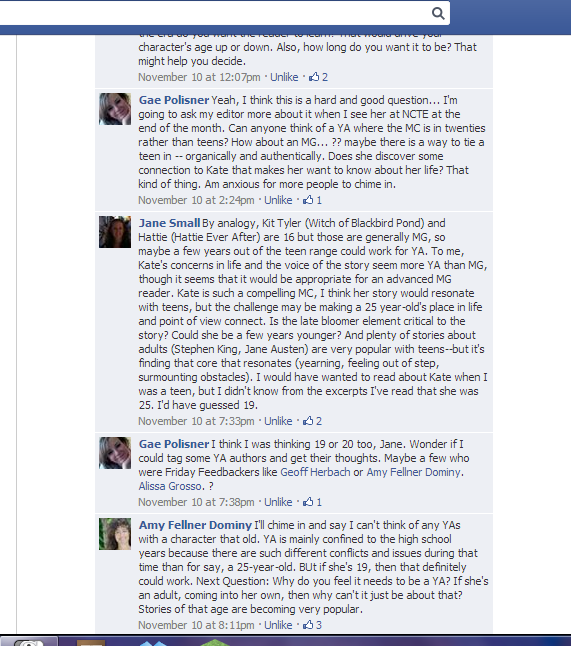 Most of all, it wasn’t Kate, and it obviously wasn’t what the characters around her saw in Kate either. After some recent questions I began to have about my work, I had an educational and wonderful discussion with my friends over on the Teachers Write! 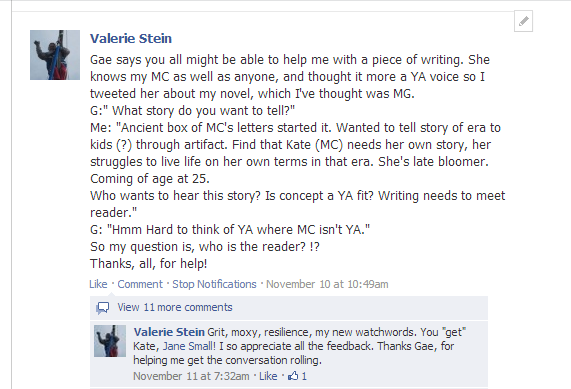 Group Page on Facebook, (Kate Messner’s page is where you can find out more about Teachers Write!) as I’ve been trying to really understand what kind of book I’m writing. 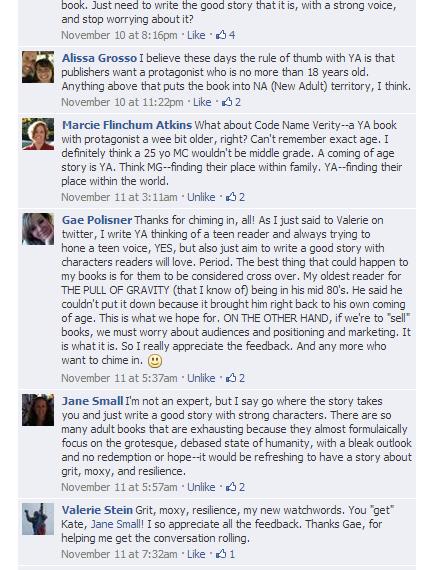 It means so much to me to get support from these thoughtful folks who replied here, and especially Gae Polsner, who is very wise, urging me to write the best book possible, but also, for some really good reasons like selling my manuscript to the right people, to do the work to understand why this isn’t the book I thought I was writing when I started out. It can be somewhat dismaying to realize you’ve been working on something other than you thought, but in this case, it has also been very freeing. Instead of trying to make chronology do the job, or using something uncharacteristic of the person I’ve created simply to move the story forward, I’m on a reset. I am looking for the soul. I found a bit of it here, in these letters tucked carefully into Kate’s journal. They are Kate’s letters of recommendation for teaching. I read and re-read them this morning, marveling at how much of my view of Kate’s soul was affirmed for me. Originally, these letters fell outside of the story I had to tell. Now I am seeing a glimmer – a better way of transitioning Kate through her changes in the end – in these letters. They germinate a seed of an idea. But that is for another day, another set of pages in my journal. Today, here’s what I found in these two letters, one written carefully on letterhead, and one not quite scrawled on a lined piece of paper torn from a notebook. I know they are letters of recommendation, and that they could say anything. But I’m looking for soul, and I have found some of Kate described here. I’ll take that. These bits are the lines which stood out, which made me smile, and sent me running for my notebook. These tell of the Kate I’ve come to know through some 150,000 words of writing. These tell of the Kate who grabbed my attention when I first learned of her. This is the soul of the story I want to tell, coming through. 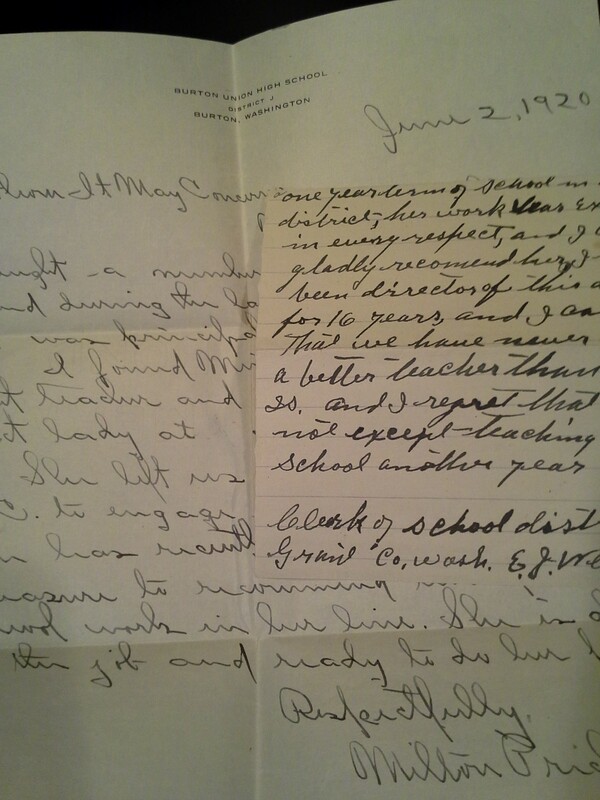 This entry was posted in books, collaboration, inspirations, reading, Uncategorized, writing and tagged 1900s, Burley Washington, Friends, Gae Polsner, history, Kate Messner, Teachers Write!. Bookmark the permalink.